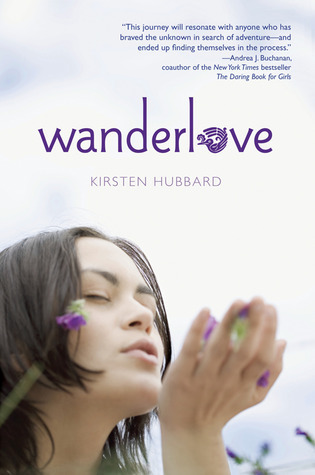 Now, if you’re following me on Goodreads, you might have heard me fangirling over Kirsten Hubbard’s 2012 novel, “Wanderlove” (If you haven’t, here’s my review of it, which really can’t convey the amount of feels I have over this book.) Basically, it’s one of those stories which hit so close to home they obliterate the bull’s eye. As you might imagine, I was super excited to have her agree to an interview. Kirsten, welcome! “Like Mandarin”, your debut novel, is very different from the majority of YA books because its main focus is not a romantic relationship. Was that reflected in the response you got from readers? In what way? I love this topic. I went into writing Like Mandarin adamant Grace wouldn't have any kind of hetero romance. I wanted her relationship with Mandarin to be the full focus. And it is a relationship, as much as it's a friendship. Though not overtly romantic, it totally follows the trajectory of traditional romances: the crush, the early intensity, the jealousy, the breakup, and so on. And Grace's feelings toward Mandarin are a lot like romantic feelings. Or they might be. It's deliberately very gray. Her feelings walk the line between actual crush and "girl crush" -- a limbo familiar to many gay and bi and questioning teens, in which they're not entirely sure whether they want to be WITH somebody, or BE them. That place fascinates me, and is familiar to me. From the responses I've seen, reviewers seem to find the lack of romance refreshing. But maybe the book would have met more success if there'd been an overt romance? It's hard to say. Grace is a fascinating character. How did she come to be? Thank you! Grace shares some characteristics with my mother (as a rock-collecting, small-town Wyoming teen), but more so with my twin sister. As a high school freshman, she dealt with an unexpected, paradigm-shifter of an obsession with an older girl that affected her for years. The girl wasn't anything like Mandarin. 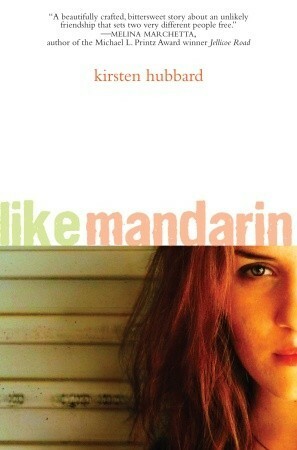 Mandarin is more of the kind of girl I would have been obsessed with myself. Voice is often considered one of the most important aspects of a YA novel. What is your take on creating a compelling voice? Great question. I think a lot of writers fall back on snark, sarcasm and slang. (The three S's?) But the first two can alienate readers quickly and the third gets dated often as soon as the book's published. So I try to use them sparingly. Usually I write a character's voice how it comes to me; but in draft 1, there's a level guessing involved because I don't know her/him yet. I think it was Laurie Halse Anderson who said she doesn't know her characters until the second draft. I've found that to be true. By the time I've spent a novel with a character, I know how they'd speak & what they'd do much more clearly. I know their extra dimensions and quirks and their senses of humor and what they despise. Staying true to that, I think, is what can make voice compelling in deeper drafts. Backpacking, my favorite! Well, I'd say it depends on where you live (plane tickets range like crazy) and what you like (beaches? islands? cities?). Costa Rica and Panama are fantastic but easy destinations for first-time backpackers, and Nicaragua (a little rougher, a lot cheaper) is a great next step. Central America is quite expensive to get to from Europe, though -- it's only worth it if you can take an extended trip, three weeks or more. Southeast Asia is also so cheap and easy to backpack through, though it comes with an extra dose of culture shock for western travelers. But you'll fall into the groove quicker than you think. To me, one of the most compelling things about “Wanderlove” was how it explores the dynamics in a romantic couple.What do you hope readers get from Bria’s story? I'm not a big fan of insta-love in books -- I prefer slow-developing romances, with a lot of tension and push and pull. So much more fun! That's what I wanted for Wanderlove. I also wanted to make sure both characters were good people; Rowan had to be somebody I (and readers) could root for. He's a reformed bad boy, but I didn't want him to fit into the bad boy trope, especially since misogyny is so often involved and yuck. Rowan is a good person and he respects Bria, even though he misjudges her in the beginning. Do you have a favorite character to write about, in either of your books? Starling and Mandarin, definitely. I just love writing feisty and/or troubled girls. Also, I have a soft spot for Davey in Like Mandarin. Poor Davey. What kind of stories do you feel are lacking in YA? This is kind of a hard one. You know, I feel like there are so many brilliant books in YA right now -- it really is a literary renaissance in the age group! -- but a lot of them sort of go quietly into the night, in a market dominated by high-concept books. Not that I don't love many exciting blockbuster-type novels. But I wish there was a way to bring better exposure to quality midlist books. You can follow Kirsten Hubbard on twitter @kirstenhubbard, or check out her blog at www.kirstenhubbard.blogspot.com Both her novels are available on Amazon.com and Amazon.co.uk.